414 in stock Need More ? 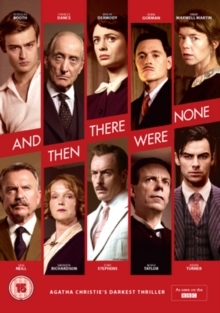 Douglas Booth and Charles Dance star in this three-part BBC adaptation of the classic crime novel by Agatha Christie. When ten strangers are invited to stay on an isolated island off the Devonshire coast, they find that the owners, Mr and Mrs Owen, are nowhere to be seen.